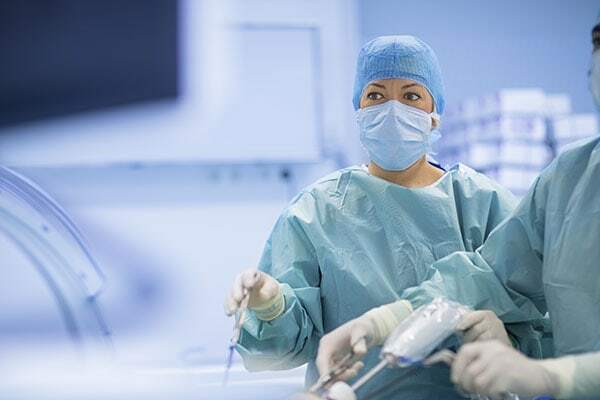 Diagnostic and operative laparoscopy is a minimally invasive surgical technique that allows to visualize the abdominal cavity and the organs found in it, to observe possible anomalies in the same and In the best of cases correct them. In the case of female fertility, laparoscopy will allow the doctor to diagnose some complication in his reproductive organs. What is the purpose of this technique? The objective of a laparoscopy is to diagnose and solve any problem that is detected during the course of the intervention. The surgeon makes an incision at the level of the navel. A needle is inserted into the incision. Then, carbon dioxide is passed into the abdomen through the needle or the probe. The gas helps expand the area, giving the surgeon more room to work and helping you see the organs more clearly. A tube is placed through the incision in the abdomen. A camcorder is passed (laparoscopy chamber) and the abdominal cavity and pelvis are observed. More small incisions can be made in different locations that allow for better visualization and manipulation of the affected organs. In the case of gynecology, these incisions are usually on the side of the abdomen, both on the right and left side. If a gynecological laparoscopy or fertility study is performed, a dye can be injected through the cervix to identify the fallopian tubes and their permeability. After the test, the gas, laparoscopy equipment and instruments are extracted and the incisions are closed. How is the preparation for a laparoscopy? It is important to fast 8 hours so you should not eat and drink anything 8 hours before the procedure. It may be necessary to suspend any medication prior to the procedure such as the use of aspirin or anticoagulants, as well as medications to be ingested on the day of surgery. The treating physician and anesthesiologist should report which of them should temporarily suspend. The doctor may make other recommendations such as quitting smoking and drinking alcohol, making a special diet days before surgery etc. There is a risk of infection. For this reason, a prophylactic antibiotic (prevention) is used in the 30 minutes prior to the procedure, which will be administered intravenously and thus prevent this complication. There is a risk of organ injury. This may mean damage to the bladder, intestines, or a blood vessel that may require immediate conversion to surgery (laparotomy). It depends in great way on the surgeon’s experience, the history of previous surgeries and the diagnosis by which the procedure is performed. However, this type of complication is not frequent and occurs in about 1 in every 500 to 5000 surgeries, according to the complication. A diagnostic laparoscopy may not be possible if the bowel is swollen or has fluid in the abdomen (ascites), or if the patient has had surgery in the past. Or in our social media on Facebook and Instagram.